Are the Lights going out all over London? Or is it just in Wandsworth? Whatever indeed has happened to our erstwhile Brighter Borough? 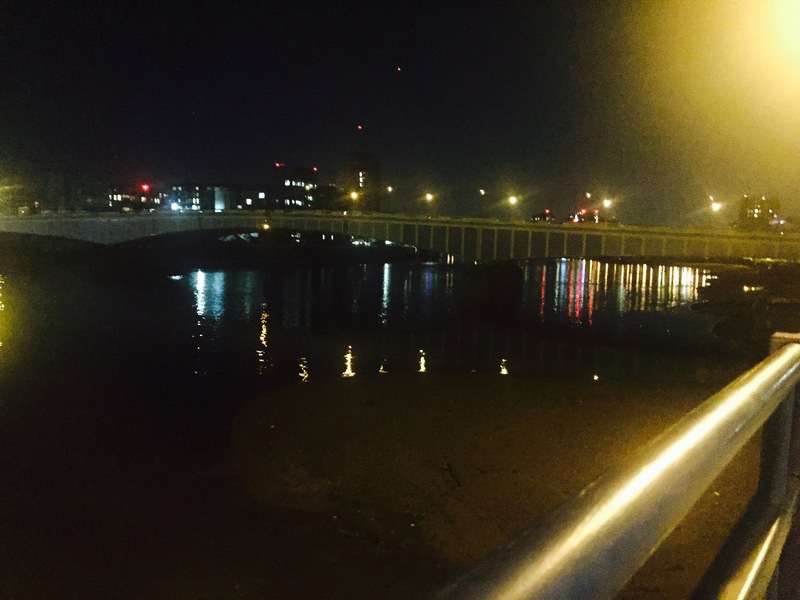 This is what Wandsworth Bridge looked like on the evening of August 27th – photographed from the Putney side – the sides of the bridge in total darkness, apart from the all-important navigation light. it’s all the more noticeable now as we approach Autumn. As a reminder of days previous this is how it looked back in November 2012, in all its resplendent glory …. What is however much more worrying is that earlier this week we noticed that the Navigation Light on the Battersea side of the bridge was not functioning – certainly therefore posing a hazard to any evening/late night/early morning river traffic. 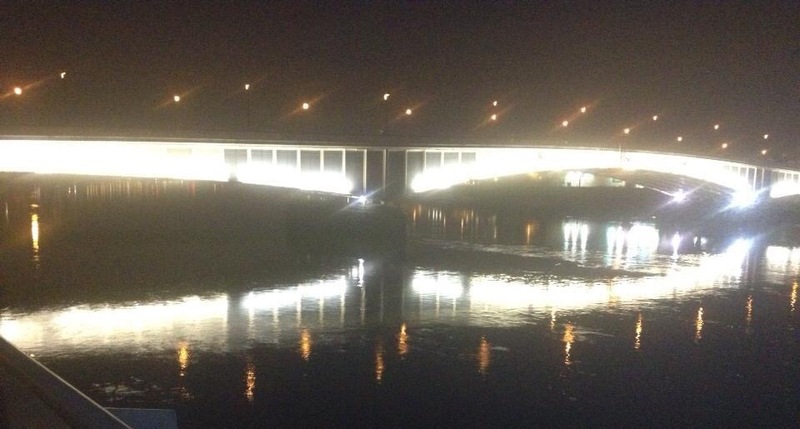 The Port of London Authority has been informed, as have the engineers of Wandsworth Borough Council, who are responsible for the upkeep of the bridge and its lighting, in all its various forms. This Saturday sees one of the major annual events on the Thames – The Great River Race from Docklands to Ham. Over 300 people-powered boats take part. Crews will be making their way along the river this Friday evening (10 September) for the Saturday morning start – and then will push and pull themselves through some 21 miles of river water for up to 4 hours. Whilst the race itself will be in the hours of daylight – there will be inevitably more river traffic before and after the race. Let’s hope that the assorted curraghs and skiffs make it there and back safely and that their crews’ well-being is not in any way compromised by blacked-out bridges.